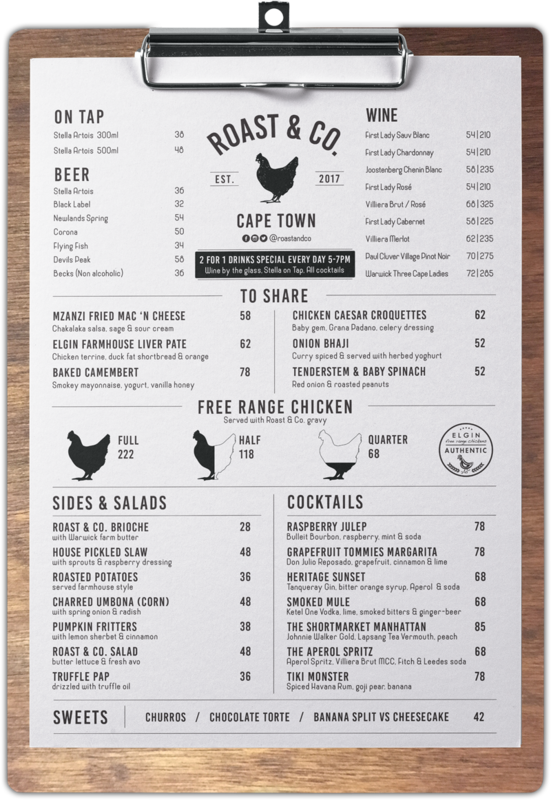 Roast & Co. is the new hotspot on Bree Street, brought to you by the guys that created HQ. It’s a similar vibe to the famous steak headquarters, but they specialise on everything roast chicken. 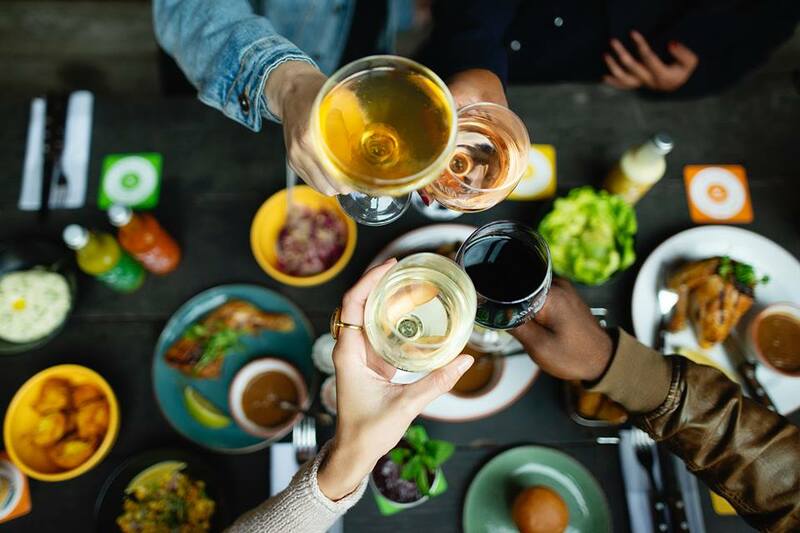 Think delicious roasts, deconstructed chicken caesar salads, wholesome and healthy sides, scrumptious churros and the reason we are here – amazing drinks! Roast & Co. is my new local for after work drinks, pre-drinks before a night out and the ideal place to kick off your First Thursdays too. 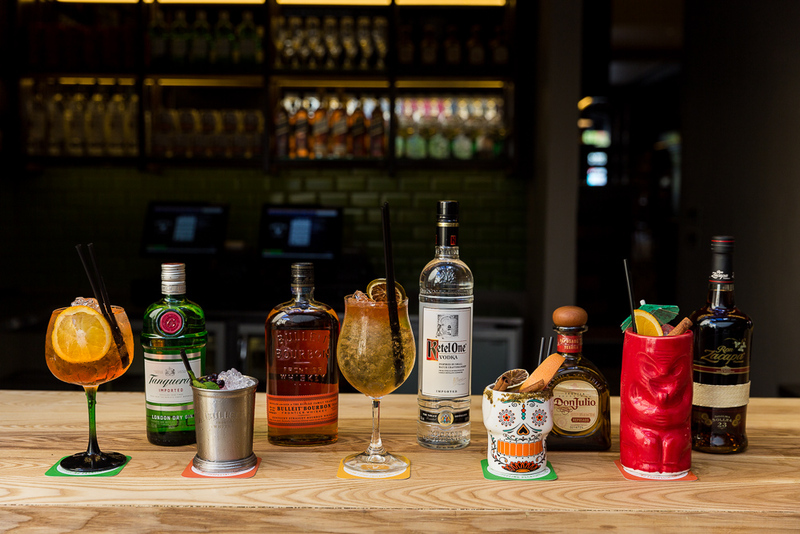 They are offering 2-4-1 on all cocktails, Stella Artois draughts and Warwick Wines from 4pm – 6pm every Monday through Saturday. Work aside, where else can you get 2-4-1 cocktails on a Saturday in Cape Town? Nowhere! 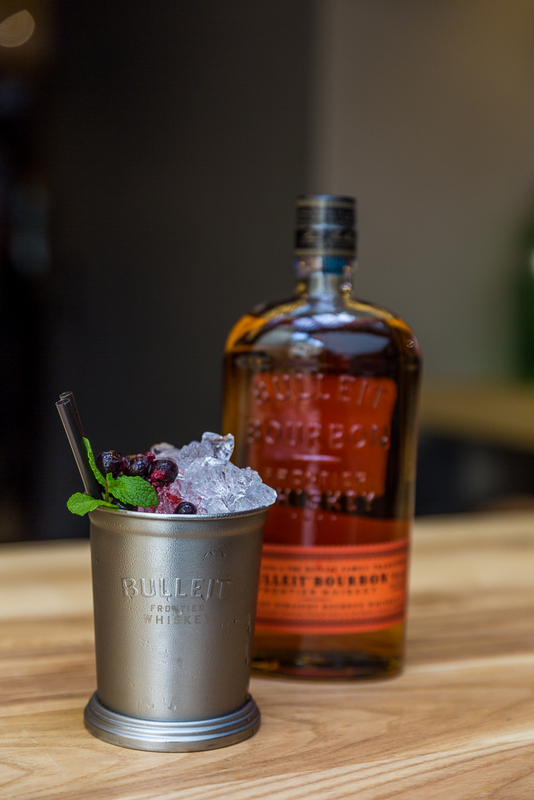 Raspberry Julep is a blend of Bulleit Bourbon, raspberry, mint and soda. Garnished with fresh fruit and herbs! To sweeten the deal, they have now added half price to the daily special, where you’ll get half price on all their delicious to share plates. 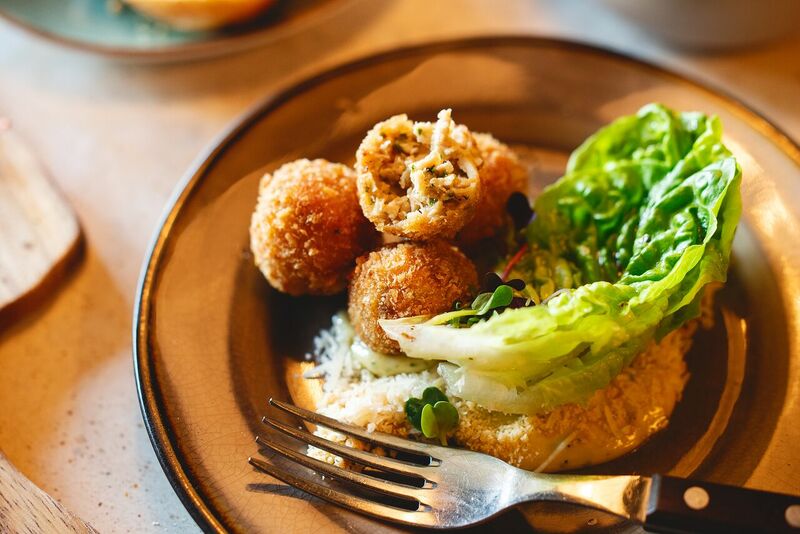 If you’ve never been, some of my personal favourites include their Mzanzi Fried Mac N Cheese, Elgin Farmhouse Chicken Liver Pate, Chicken Caesar Croquettes and the Baked Camembert! There is only one thing that is better than 2-4-1 drinks and half price To Share plates, and that is 2-4-1 mains too. They are on The Entertainer App for 2018, so you can get buy-one-get-one-free on their food menu too if you have the app. If you don’t, then click [HERE] to get the app, and use my promo code: MRCPT to get 10% discount on the app! All the items under the To Share section are half price from 4pm – 6pm from Monday to Saturday! 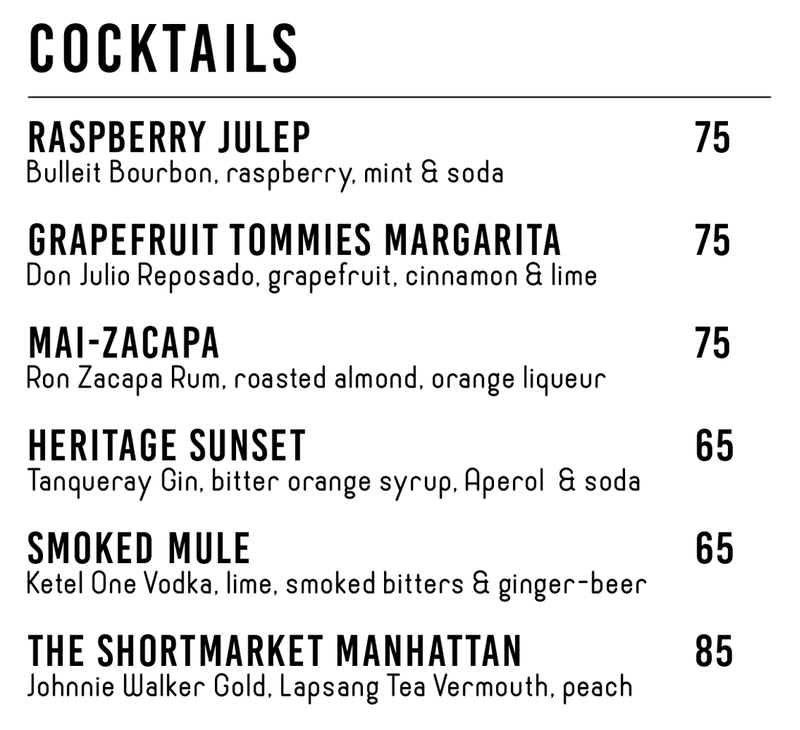 All the cocktails above are available on a 2-4-1 special from 4pm – 6pm from Monday to Saturday. That means whichever one you order, you’ll get two of for the displayed menu price! Best to go in pairs so you can try a couple on your visit.